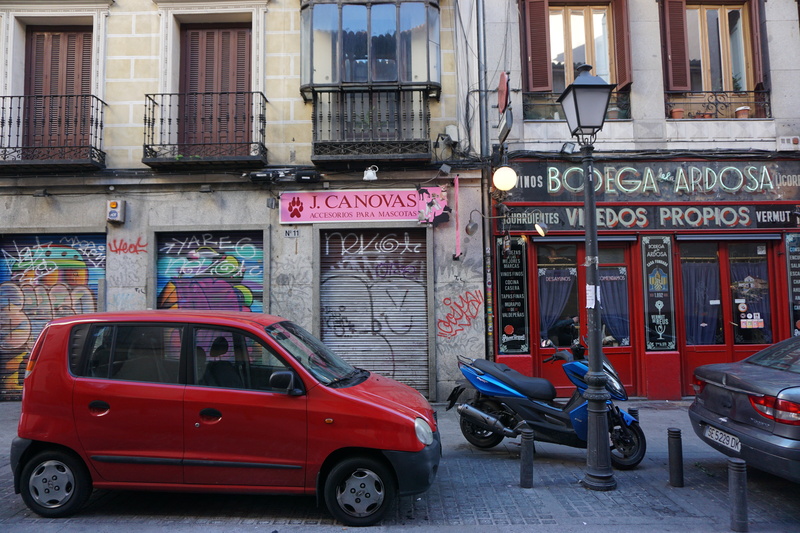 We arrived in Spain via Madrid and had rented a room in an apartment in a funky neighborhood called Malasaña. Our place was right in Plaza San Idelfonso and we could walk everywhere in the city from there. Madrid felt lively and open, as if joining the pulse of the city was possible for an outsider. 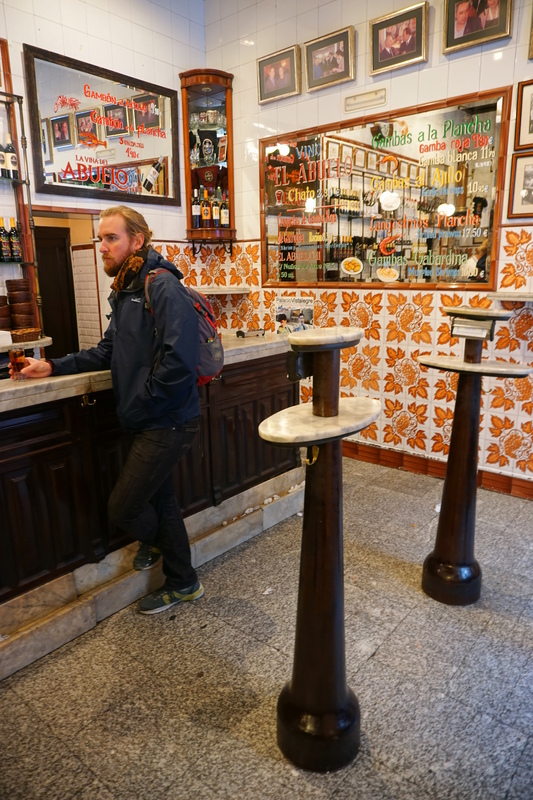 The tapas culture meant there were little bars every few feet and each one caught our eye. In Madrid, people drink cañas, which are super cheap, small glasses of beer. You always get a bit of food when you order a drink, which feels so special and exciting even if it is just potato chips. 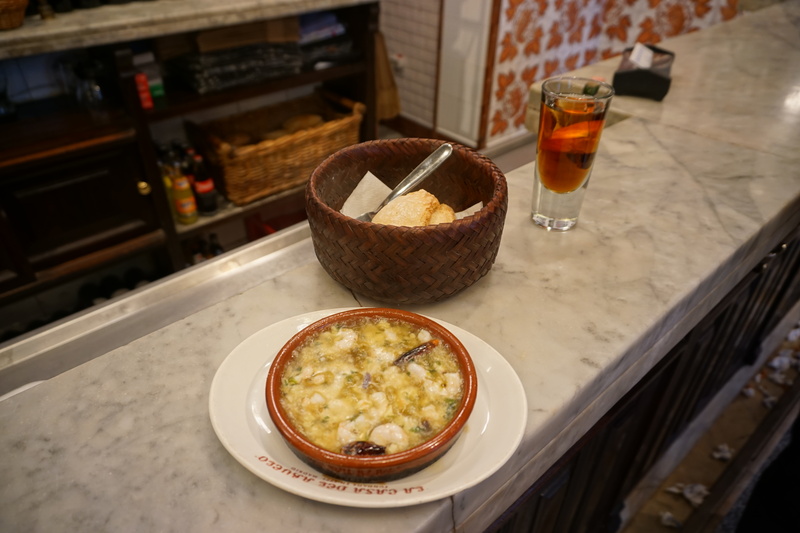 Central Spain lore is that the free tapa with drink tradition began ages ago when the field working peasants, forced with frugally choosing between a drink and food during their midday break, always chose to buy drinks. As a result, they were sluggish and famished during their afternoon work, inspiring local magistrates to require food to be served whenever a drink is ordered. 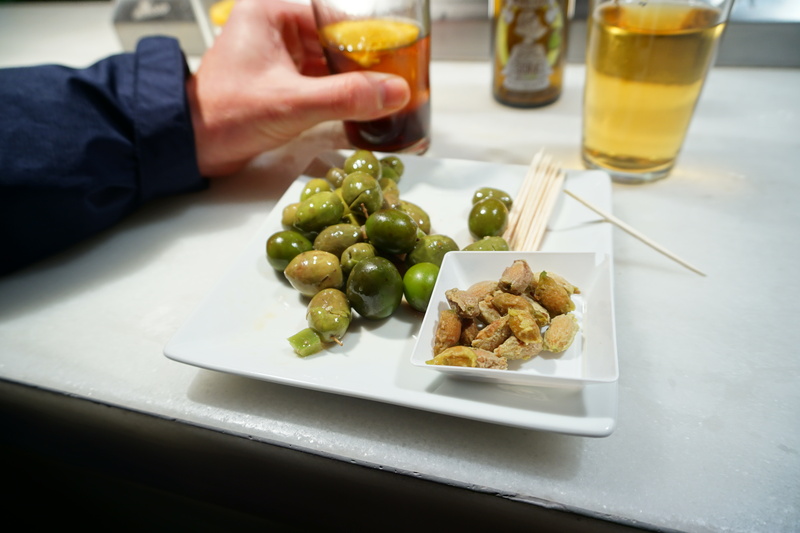 In addition to beer and of course wine, we enjoyed drinking vermouth (vermut grifa) via taps that most bars had. They serve it on ice with a lemon or an orange slice. Word of advice, when you get to a bar and order a drink, wait before you order any food so that you can see what sort of free snack will come your way. Usually the first drink gets your something like potato chips, the second perhaps a plate of olives, and it just keeps building! 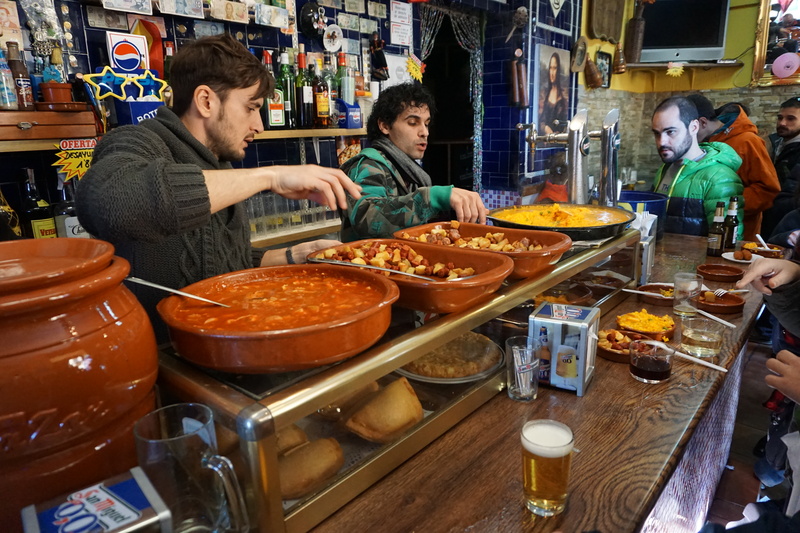 The further off the beaten track we went (and the more old men hanging out in the bar as if it was their living room), the more substantial food we received as our tapa. 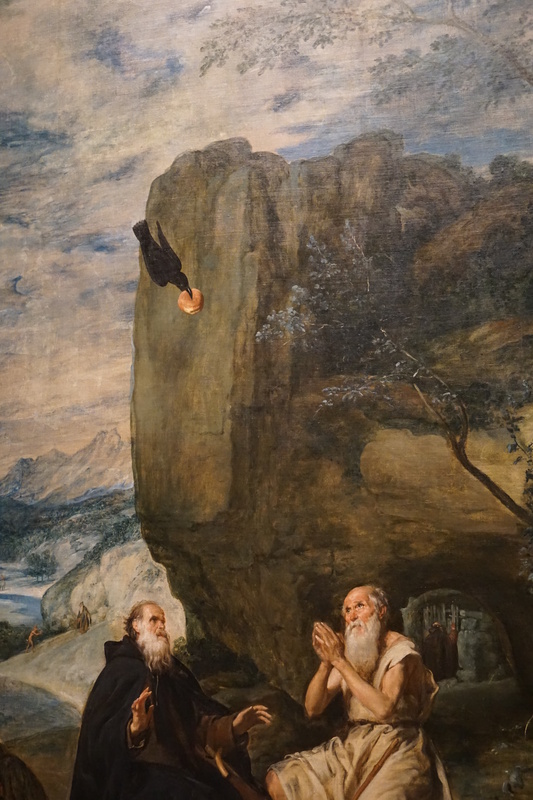 We walked through the beautiful Isidro Park and browsed the Prado museum where we saw approximately 1 million portrayals of Jesus from all the great artists, including one classic by Velasquez in which it appeared that saint what’s-his-name the hermit received a cheeseburger from a raven in the middle of nowhere. I dragged our jet-lagged behinds out of bed to catch an 11am walking tour, which thankfully was a great experience with an animated, funny guide. We started off one night sampling probably over-priced but enjoyable tapas at the San Miguel market. 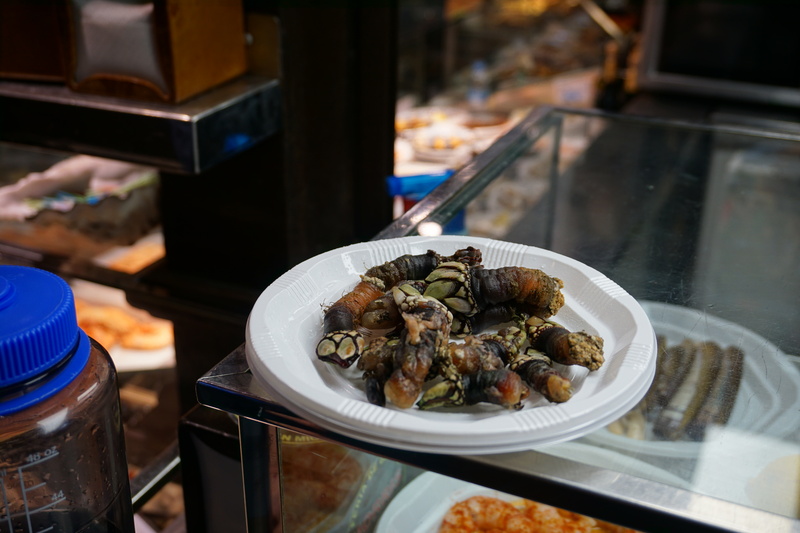 The highlight of the market was our first taste of goose mussels, which are dangerous to fish, expensive to buy and mind-blowingly flavorful. 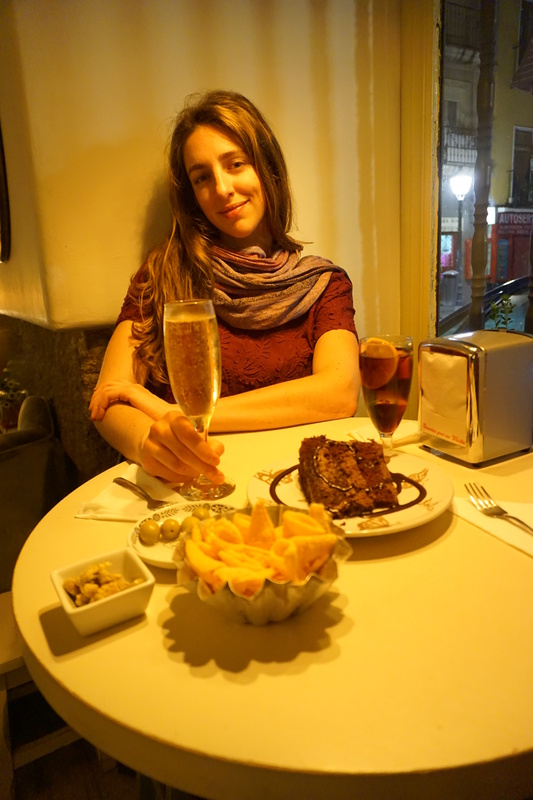 Often we just walked to get lost around the city, finding little tapas bars to freshen ourselves along the way. The food in Madrid came through every time: croquetas, salt cod creations, jamón, more jamón, moist Spanish tortilla glistening with olive oil, fragrant olive oil drizzled on garlic rubbed toast with grated tomato, olives olives and more olives….yum. We ended our nights with a few more glasses of wine and vermouth at a little café down the street from our apartment called Café de la Luz. Well done, Madrid, well done. 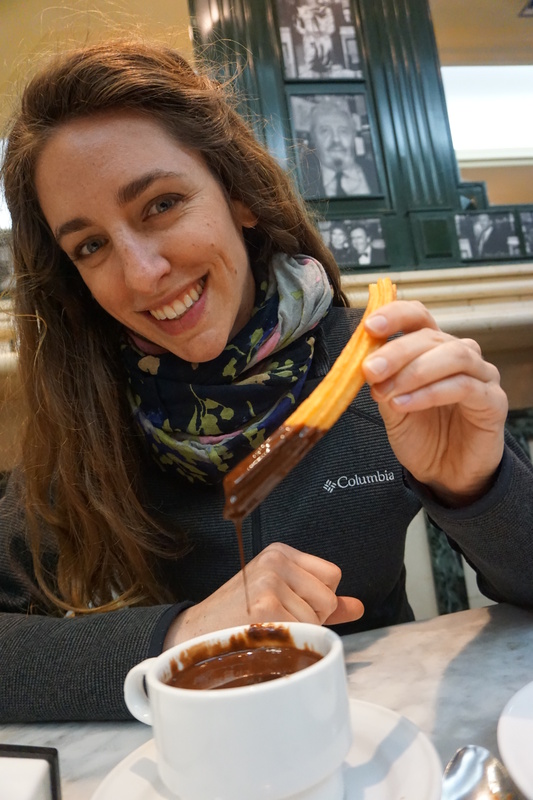 San Gines for churros con chocolate – touristy but i’ll be damned if that wasn’t the chocolatey-est chocolate we found to dip our churros in! 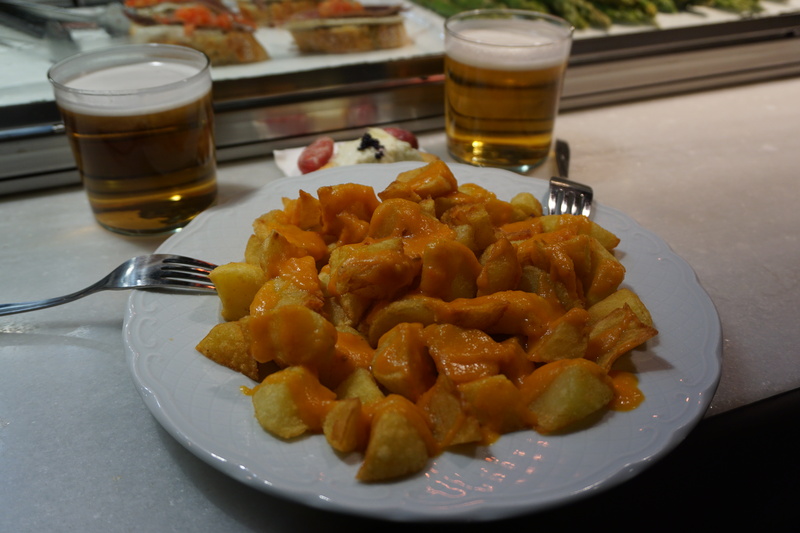 This entry was posted in Madrid, Spain and tagged adventure, backpacking, Budget Travel, europe, madrid, Malasaña, Spain, tapas, Travel by emmatrucks. Bookmark the permalink.